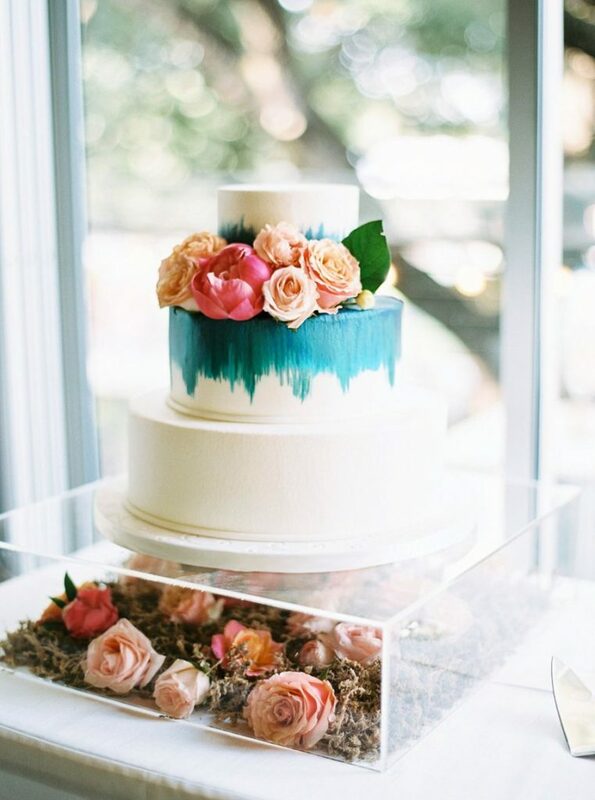 Meghan and Jacque’s vibrant watercolor wedding, planned by Two Be Wed, is one we won’t soon forget! 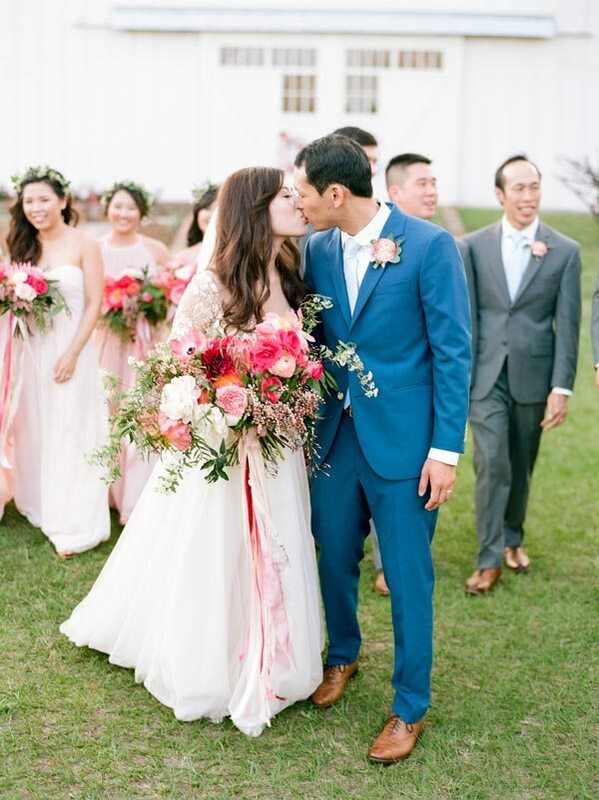 With bold colors and hand-painted details throughout, from the invitation suite to the bridesmaids’ dresses, cocktail hour signage and everything in between, each and every bright and colorful touch added whimsy and fun to their day. Mallory of Two Be Wed made sure the ceremony hosted at downtown Houston’s Discovery Green Park went off without a hitch. Meghan loved that Mallory was full of great ideas throughout the planning process, too! The couple greeted guests upon their arrival with a unique welcome gift full of goodies representing their personalities, and the personal touches didn’t stop there! Individually chosen bridesmaids’ dresses in hues of teal and blue, special cocktails and beautifully designed lounge areas in the reception tent gave this sweet soirée a feeling all its own. 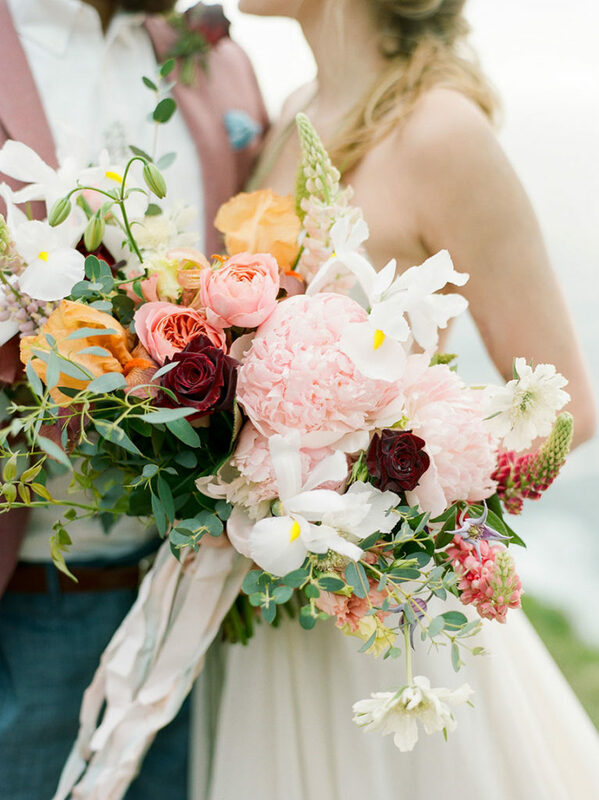 With bold florals from Bramble & Bee and a knock-out gown from Casa de Novia, the bride looked stunning, from the first look to the last kiss! Cheers to the happy couple!